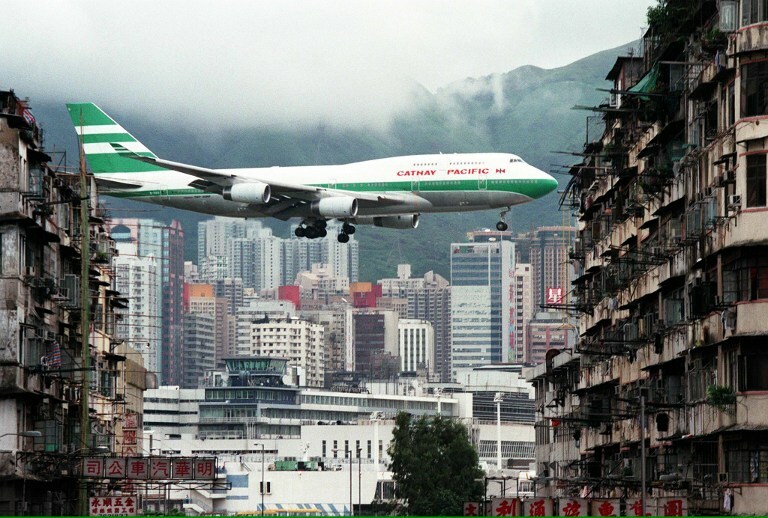 Heralded as the sixth most dangerous in the world, Kai Tak served as Hong Kong’s airport from 1925 until 1998. Initially a simple grass-strip airfield, a concrete slipway was added in 1928. A flight control tower and hangar were built in the 1930s, when commercial flights began. The airport was expanded in the 1950s with a new runway on land reclaimed from the harbour. 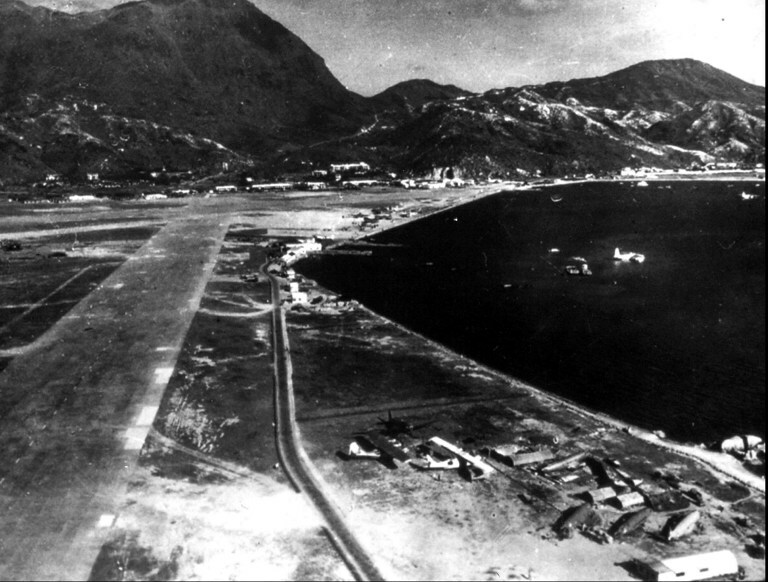 An aerial view shows Hong Kong Kai Tak Airport in 1947. Photo: AFP/GIS. 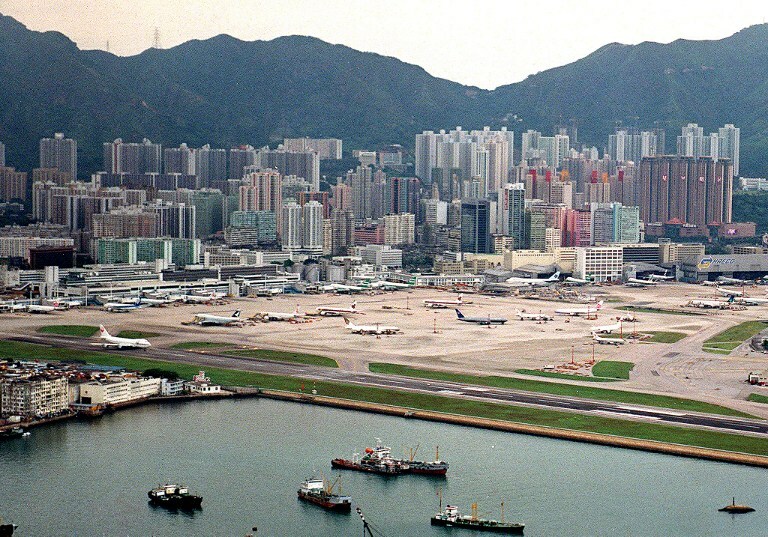 By the 1990s, night flight curfews, building restrictions in Kowloon, pollution and noise forced the colonial government to seek an alternative location to replace the ageing airport. 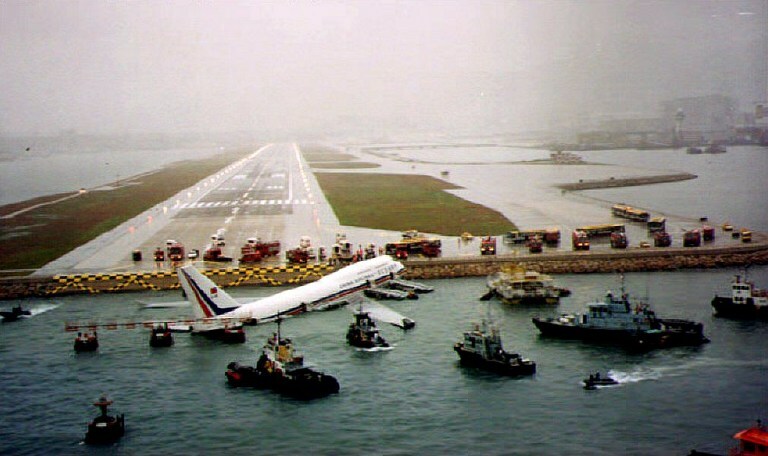 China Airlines Boeing 747 sits in the water after skidding off the runway at Kai Tak, 4 November, 1993. Foul weather and a slippery runway caused by Tropical Storm Ira forced the passenger jet to skid and plunge into the sea. There were no fatalities. Photo: AFP/GIS. 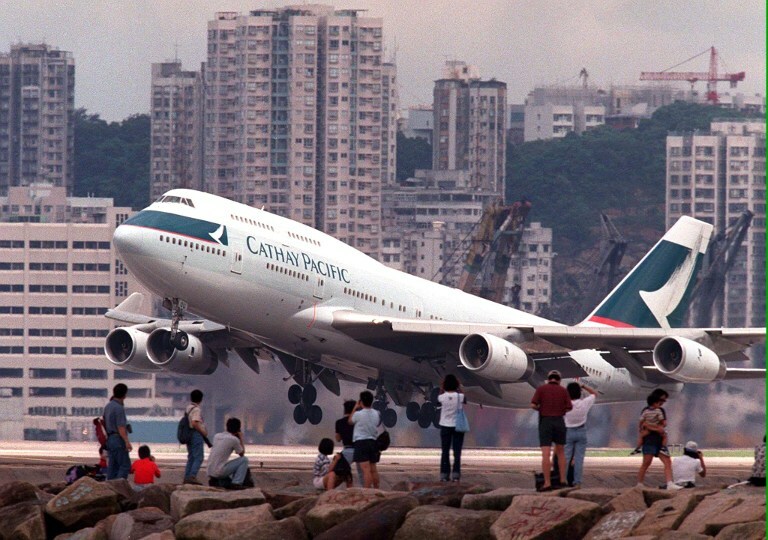 On July 6, 1998, a small ceremony celebrating the end of the airport was held inside the control tower after a final Cathay flight from Kai Tak to the new airport at Chek Lap Kok took off. 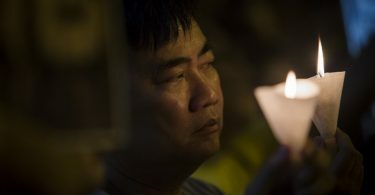 Richard Siegel, the then-director of civil aviation, famously said “Goodbye Kai Tak, and thank you” as he switched off the runway lights for the last time. Its airport codes were transferred to the new airport on Lantau. Today, the site is home to a cruise ferry terminal. 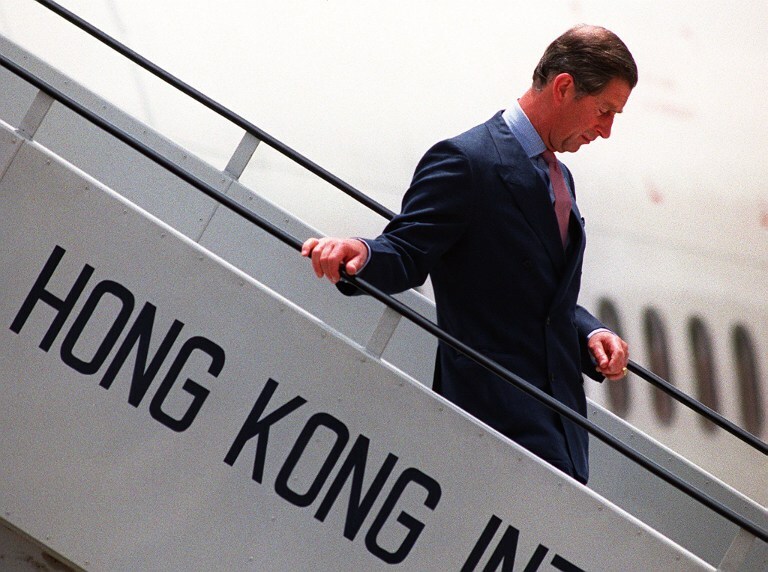 Britain’s Prince Charles steps off the plane after his arrival at Kai Tak airport on 28 June, 1997 ahead of the Hong Kong handover. Photo: Romeo Gacad/AFP. 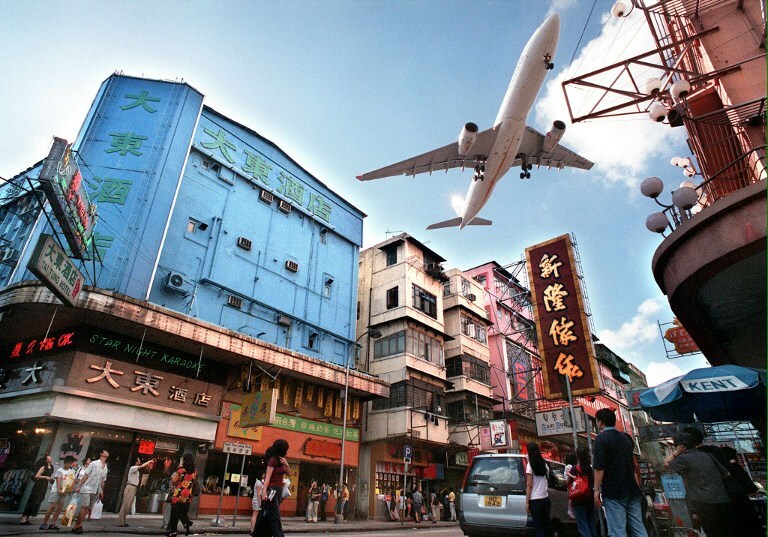 Below are shots from AFP photographers documenting the final days of Kowloon City’s iconic old airport. 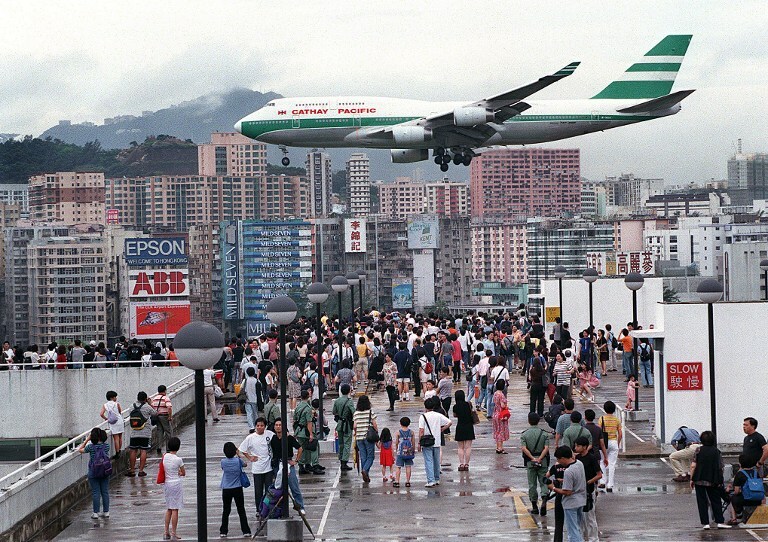 People watch a Hong Kong flag carrier 747-400 comes in for a landing at Kai Tak. Photo: Robyn Beck/AFP. 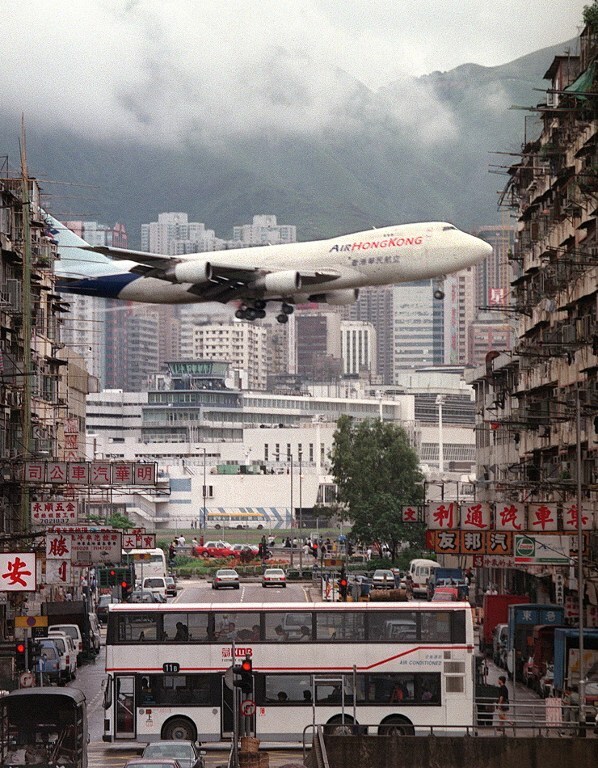 An Air Hong Kong plane comes in for landing over the crowded landscape of housing blocks near Kai Tak airport 05, July 1998. Photo: Manuel Ceneta/AFP. 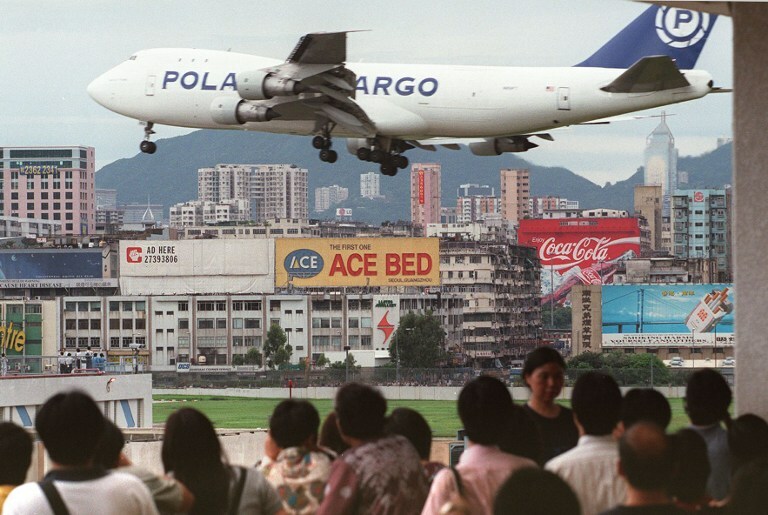 A Polar cargo aircraft lands at Hong Kong’s Kai Tak airport on the final day before it’s closure. Photo: Robyn Beck/AFP. 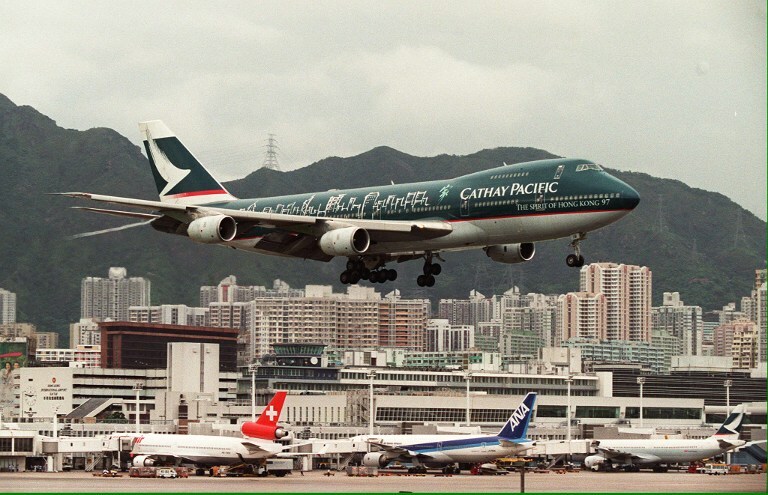 The Spirit of Hong Kong 97, Hong Kong flag carrier Cathay Pacific’s specially designed plane showing the island’s skyline, to celebrate the handover to the Chinese rule, approaches Runway 13 of the 73-year-old Kai Tak Airport to land for the last time 5 July, 1998. Photo: Manuel Ceneta/AFP. Hong Kong flag carrier Cathay Pacific, Boeing 747-400 jumbo jet, flies over the Kai Tak Airport control tower bottom as it approaches the Runway 13. Photo: Manuel Ceneta/AFP. Kowloon City, 1998. Photo: Frederic J. Brown/AFP. 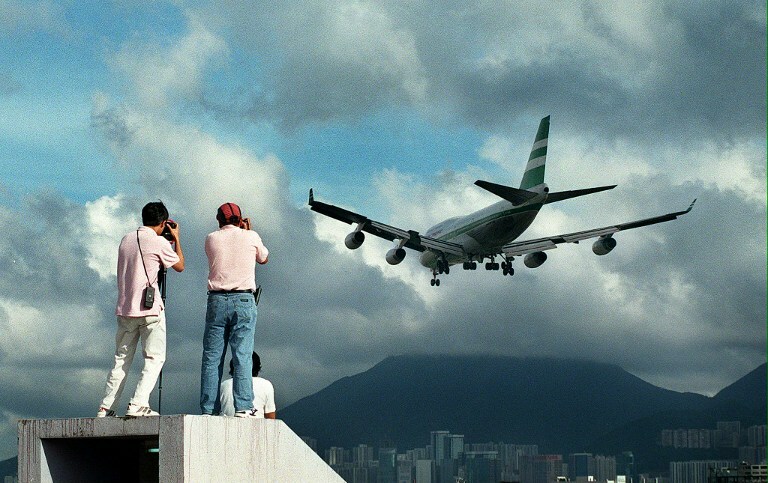 Hundreds of Hong Kong people gather onto Kai Tak Airport’s rooftop car-park 27 June, 1998, to capture a momento of planes making their approach toward the runway. Photo: Frederic J. Brown/AFP. 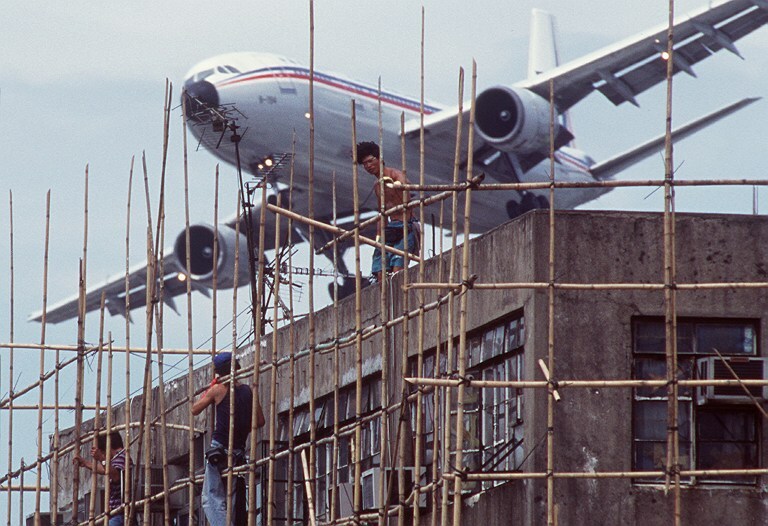 Two people climb onto a rooftop in Kowloon City 13 June, 1998 to photograph an aircraft approaching Hong Kong’s soon-to-close Kai Tak airport runway. Photo: Frederic J. Brown/AFP. 26 May, 1998 just weeks before closure. Photo: Michel Porro. 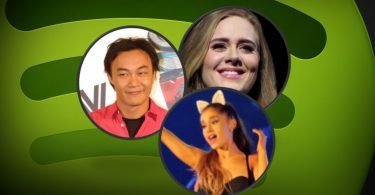 Xi Jinping: Where does the power come from?